Could a cruise be the best holiday you’ve never considered? Home / Business Travel Blog / Could a cruise be the best holiday you’ve never considered? The cruise industry is booming. It’s an industry worth $126bn* with the number of passengers choosing a cruise holiday at an impressive 27.2m in 2018, compared to 17.8m in 2009. This is an industry demanding attention so we when we heard that Royal Caribbean was recently voted the winner of the Conde Nast Readers Choice ‘Mega Cruise Ship’ award 2018 and we were then invited aboard The Independence of the Seas by Royal Carribean for a morning (whilst it was docked in Southampton, sadly not in the Caribbean!) we jumped at the opportunity to look at their recent ‘rejuvenation’ and what it has to offer. When you mention a cruise to someone, it often has the marmite effect. They love the idea or they are adamant it’s not for them. Often, the basis of that reaction comes from the stereotypes rather than experience so we thought we’d address some of those common assumptions so you can make a more informed decision about whether cruising might be for you (or not!). 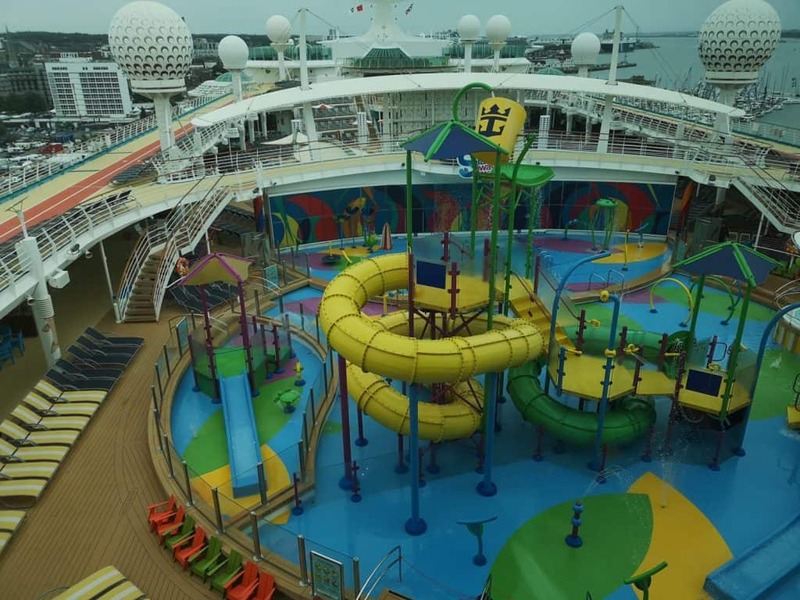 Cruises are for when you’re retired. I’m not going to argue that cruises aren’t popular with the older generation. 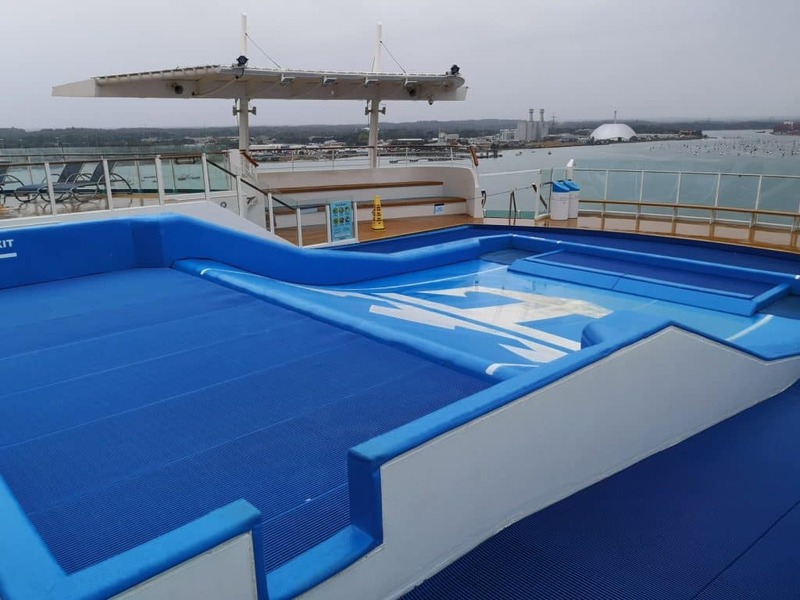 The ease of travelling to multiple destinations without navigating numerous airports, the social aspect of meeting people with similar interests and accessibility of the ships are all attractive features and keep people coming back for more. 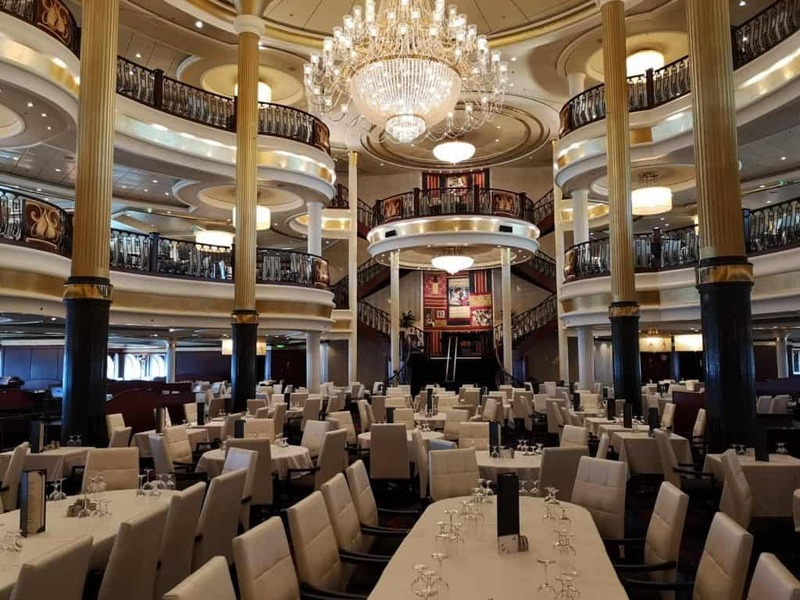 But, and it’s quite a big but, cruise companies have made a big effort in the last 10 years to attract a younger audience and it’s paying off. There are companies and ships that cater for a wide range of holiday requirements – families looking for entertainment, childcare and lots of facilities, couples looking for luxury facilities and unusual destinations and interestingly, ships that cater for multi-generational holidays in line with the increase of grandparents travelling with their children and grandchildren. 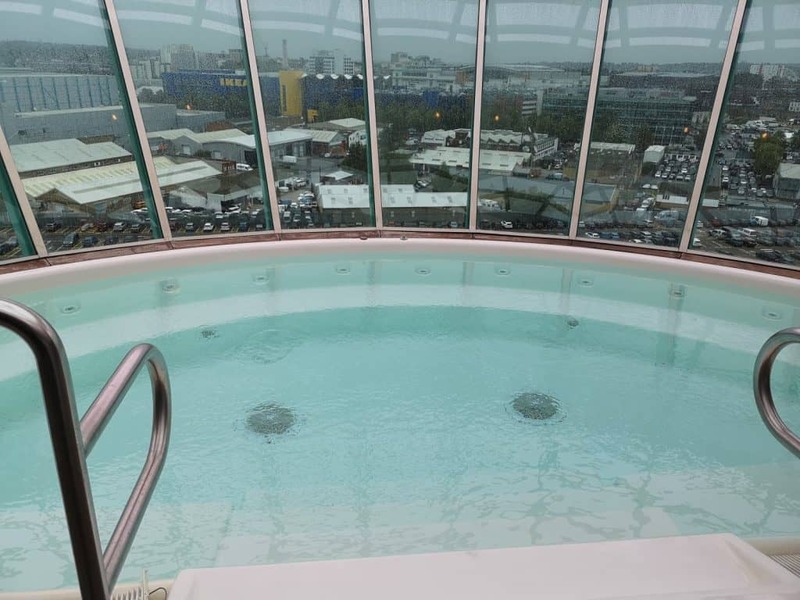 The Independence of the Seas has recently had a ‘rejuvenation’ and which has involved adding new rooms (more on that later) as well as new facilities, primarily aimed at children and families. Highlights include the ‘Sky Pad’ which is a bungee trampoline meets virtual reality experience (yes, really! ), the ‘Perfect Storm’ dual racer high speed slides, Laser tag, an Escape Room where you solve puzzles and clues to be released from the room, ‘Splashaway Bay’ a kids aqua park for all ages and ‘Flowrider’ a 40ft long surf simulator! And if that’s not entertaining enough, there is also an arcade, basketball court, rock climbing wall, ice-skating rink and mini golf course. 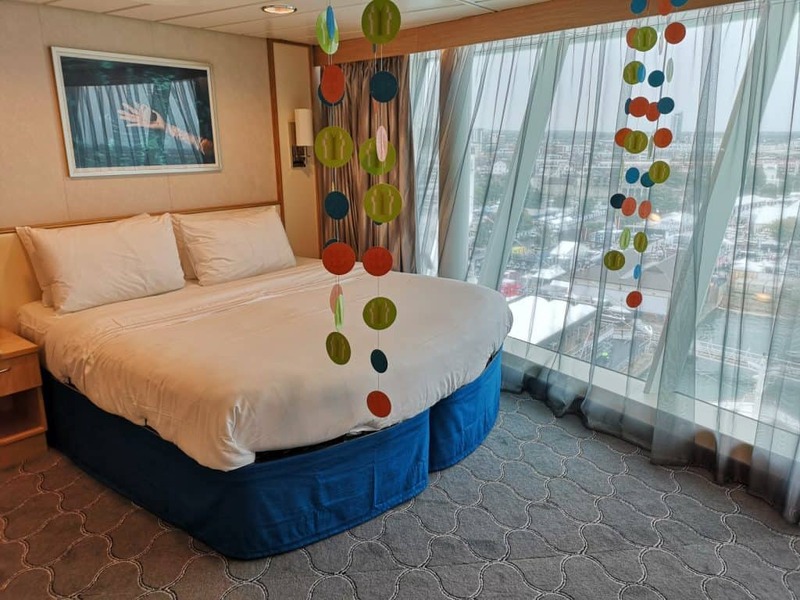 Plus there is childcare and kids clubs for all ages in a dedicated section of the ship with the rooms are split by age so the activities can be tailored to the children. For the adults, there is the Vitality Spa with extensive treatments, 4 pools, including the Solarium, an adults-only retreat, 6 whirlpools, two of them cantilevered and overlooking the ocean, a Library and a Card Room. Honestly, it depends on a few factors. The company you book with, the ship you choose and the room type you opt for. There are a lot of options and our team are best placed to talk you through the options to get the experience you are looking for, whilst travelling to the destinations you want to visit and be on a ship with the facilities you want. 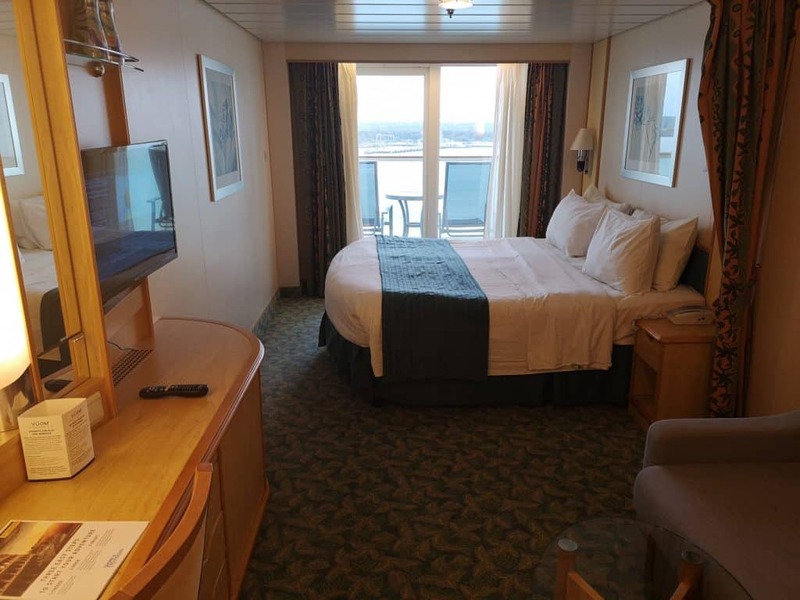 Broadly speaking though, like any holiday, it depends what your priorities are and how much you are willing to pay but for most people, the biggest differentiator on a cruise is the room you book. Where do you want to be on the ship? Is having a window in your room important? If it is, do you want a panoramic window or outside space such as a balcony? Do your children need their own room or are they ok on a sofa bed in your room… or bunk beds in the same room as you? Is having a sofa and an area to sit in your room and watch TV or read a book key to you enjoying your experience? Do you want a Butler, VIP seating around the pool and a separate Club lounge to enjoy every day? 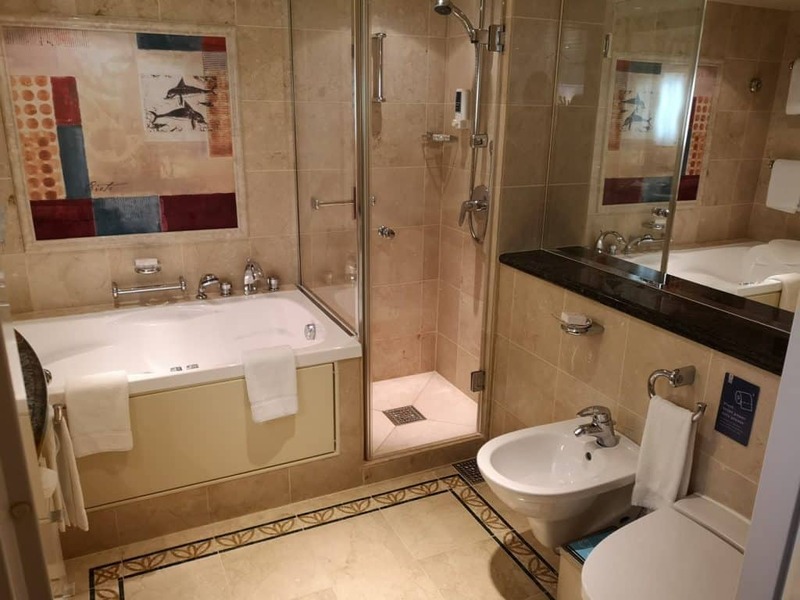 There are cabins to accommodate as many of those options as you’d like, right up the Royal Suite which is an impressive 1,633ft and includes a king size bed, private whirlpool on the balcony and grand piano! What about the food, are there many options? 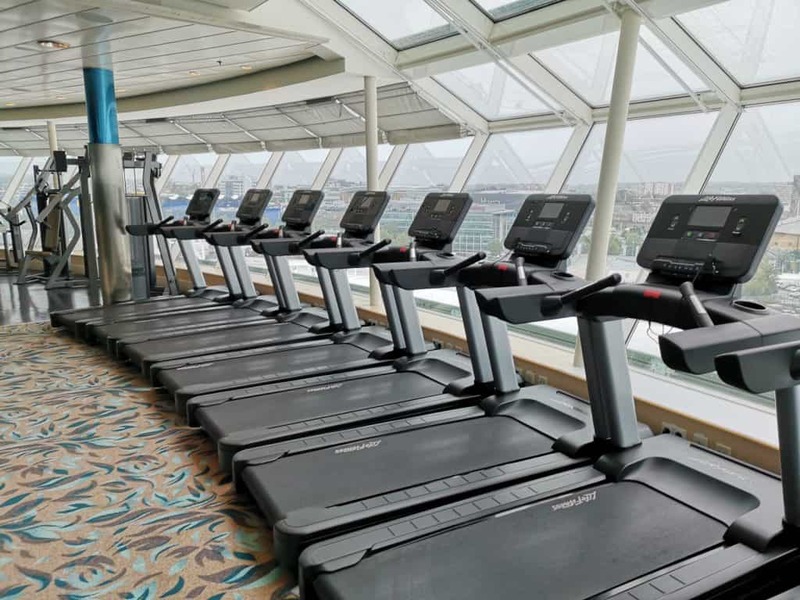 At full occupancy, The Independence of the Seas can accommodate 3,634 passengers so there is no getting away from some elements of mass catering. But what I found impressive was the number of options throughout the ship so you can get away from the crowds if you want to. So what is on offer? The Main Dining Room offers complimentary, multi-course dining for breakfast, lunch and dinner, or if you’d rather not have a full 3 course meal you can choose from Windjammer Marketplace, Sorrento’s Pizza or the Café Promenade for coffee and pastries/snacks. In addition, there are also speciality restaurants, where for a cover charge you can choose any items on the menu. These include Chops Grille steakhouse, Giovanni’s Table Italian restaurant, burgers, fries and shakes at Johnny Rockets and for those with a sweet tooth, Ben & Jerry’s ice cream. If you’re by the pool, you can grab something at Fish & Ships or head to Izumi Japanese cuisine. If you want to eat in the Main Dining Room for dinner, before you travel you choose the time you’d like to eat (one of two sittings, normally 6pm or 830pm) and how many people you’d like to sit with. You can sit with just your family, or if you are keen to meet others, you can choose a larger table. You’ll be sat with the same people throughout the cruise which a lot of people really enjoy but can be offputting to some! If you are even a little bit intrigued about whether a cruise might be right for your next holiday, speak to one of our team who will be able to talk you through the options and work out what might be the right cruise for you… we’re convinced there is something for everyone amongst the amazing ships that are sailing at the moment.